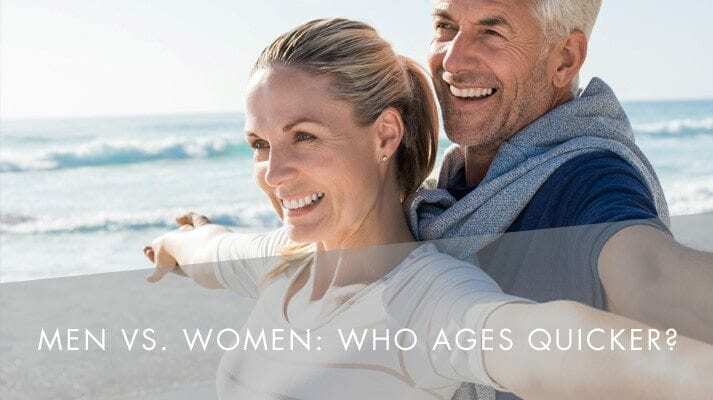 Men vs Women: Who Ages Quicker? 5th June 2017 | filed under Aesthetic Treatments, Face, Skin. As we grow older, our body begins to show signs of aging. This can be seen in our facial features and our skin, as wrinkles develop and become more noticeable. But, are men and women different in showing these signs? And do they begin to age at different periods in their life? Back in 2013, a survey was carried out by 2,000 British men and women. The results revealed that 1 in 4 women were worried that they looked “significantly” older than their other half. It also revealed that in general, men believe they age better than their spouse. Let’s take a look at how aging affects men and women differently, and who shows signs of aging first. Men do have the advantage when it comes to skin. The male hormone testosterone makes men’s skin about 25 percent thicker than women’s skin, which means they are less susceptible to early signs of aging. They also have more collagen – so it takes longer for wrinkles to appear! Men also have more moisture on their skin as they typically sweat more – this gives them a “natural” protection that women do not have. All these factors add up to fewer signs of aging on men’s skin than women’s. In general, men show earlier and more obvious signs of aging when it comes to hair loss. Even without a hereditary factor, most men show some signs of balding by about age 50. Women also lose some hair with age, and in some rare cases, women experience male-pattern baldness. However, this isn’t very common. Luckily, there are plenty of ways to reverse the signs of aging – whether you are a man or woman. 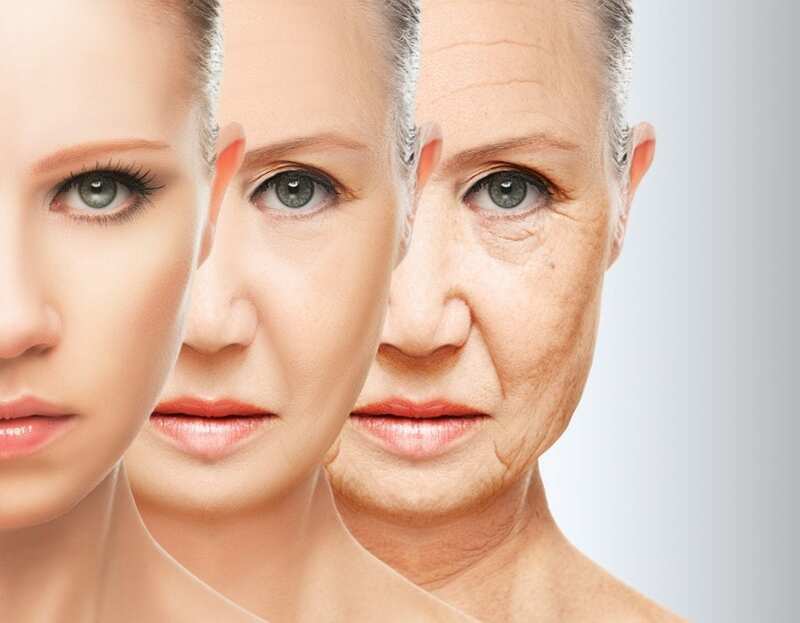 Here at Aesthetic Skin Clinic, we provide many services that can help turn back the years. Here are four non-surgical treatments we offer to help with the aging. This treatment is used to tighten the skin, resulting in facial rejuvenation, delivering energy deep to the dermis via specially-designed, insulated microneedles that penetrate the skin. This method avoids the risk of burning or hyperpigmentation of the epidermis. The heat energy exposed to the dermis works to tighten and shorten collagen fibres, meaning this method can be used as an anti-aging protocol. Microdermabrasion is used to reduce fine lines and wrinkles through the removal of superficial layers of skin, promoting a more youthful and radiant glow. This non-evasive, anti-aging treatment is suitable for all skin types. This method uses the tip of the abrasive wand, working at a range of suction levels to target different depths. Moving across the skin’s surface, it smooths the complexion, reducing the appearance of fine lines and wrinkles while removing dead skin. This treatment is used to improve the appearance of facial wrinkles. It works by selectively absorbing the deeper levels of the dermis, allowing for treatment of deeper vascular lesions, such as telangiectasias, hemangiomas, and leg veins. The laser energy is delivered using long pulses, which are converted into heat in the tissue. This method also stimulates the creation of new collagen, which improves the appearance of facial wrinkles. Skin Tightening improves skin laxity, wrinkle appearance, and rejuvenates your skin without the need for scalpel, scars, or anaesthetic. Aesthetic Skin Clinic offer a range of non-surgical skin tightening procedures which include Thermage, Intracel, Ultracel, and Smartxide CO2 laser, all of which help rejuvenate your aging skin. Our expert and award-winning team will guarantee a caring experience, where you will be in safe hands throughout your treatment. Get in contact with a member of our team if you require any extra information regarding our treatments here at Aesthetic Skin Clinic.